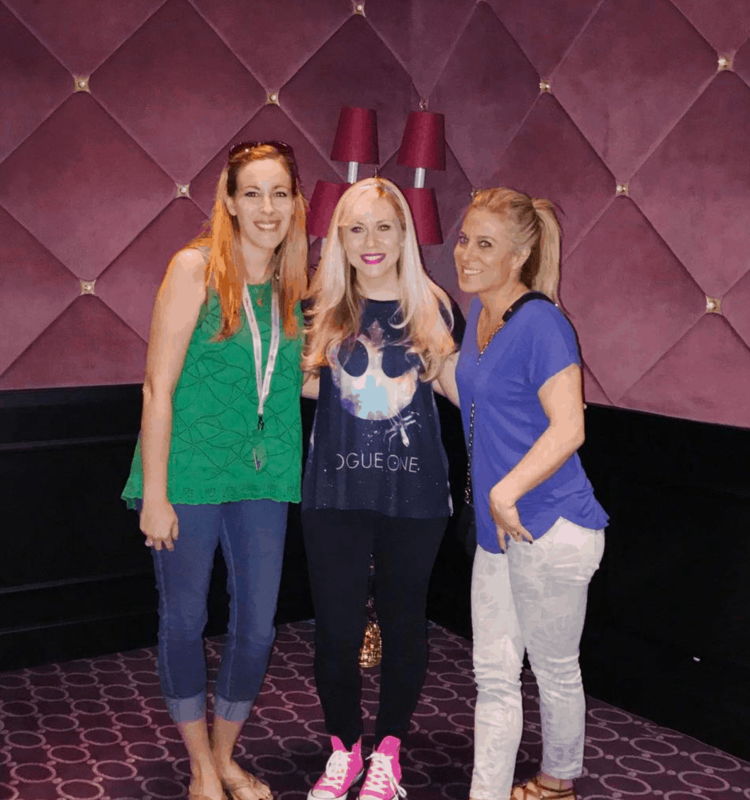 A chance to interview Ashley Eckstein – founder of Her Universe – while on board my recent Disney Cruise trip? I’ll take it!! I thoroughly enjoyed getting to meet Ashley because not only did I become a MEGA fan of her clothing line (yes, I bought a top before I got off that ship), but I was completely moved by what she had to say about her attitude towards entrepreneurship. Here are some of my favorite quotes from the meeting. What’s new on board the ships from Her Universe? There are 9 pieces currently available. That’ss brand new merchandise. We have a Rogue One shirt, a brand new Rey – literally they just delivered it to the boat. 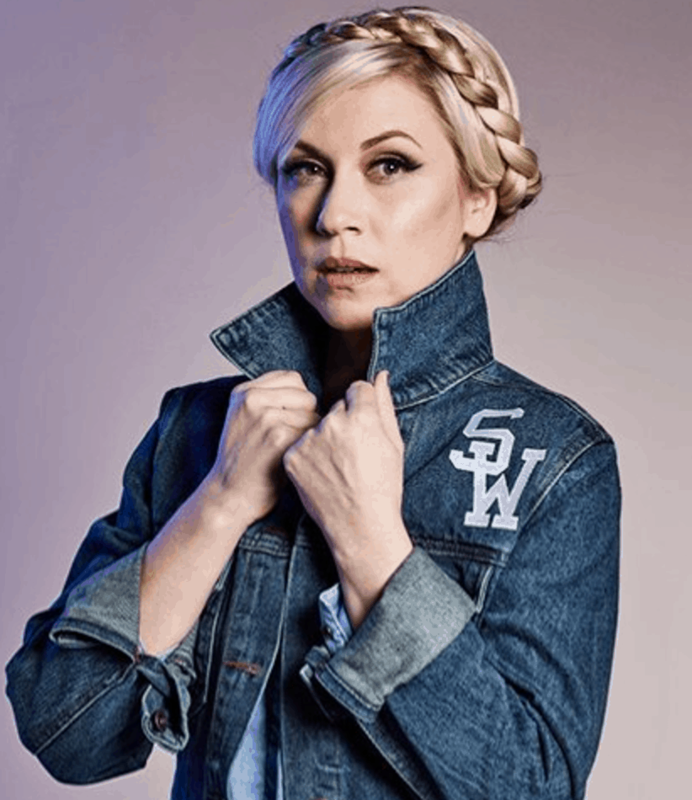 A new jean jacket that’s about to come out on Her Universe. And guys, I think this is technically unisex? So, it could be for guys too! Especially for Disney – for pin collectors – we wanted the perfect jean jacket that you could put pins or patches on. Everything that is sold in Disney locations, like the parks, are exclusive to Disney. We are talking about making exclusive merchandise for the Disney Cruise Lines. So, look for that in 2018. I actually had a lot of really exciting meetings with Disney all last week for kids – but you won’t see it until 2018. It’s coming! Have you seen the live Ahsoka walking around yet? I’ve seen Ahsoka in the parks and I always try to get photos or take a selfie. It’s weird because you always geek out when you meet the characters. I’ve had the privilege of doing various Star Wars events with Disney. So, I’ve had the chance to interact with Star Wars and all the characters – really since 2009. It is always so surreal. To realize that you play a part in this giant universe is so magical. Star Wars fans – in my opinion – are some of the best fans out there. It’s worldwide. You instantly gain a family worldwide! What is in store for your character, Ahsoka? We will see Ahsoka again on Rebels. What that means and in what form, I cannot say. That’s all I’m allowed to say. What is your favorite part about meet and greets? I am such a massive Disney fan. This is not work by any means. I am one of the fans! I think going back to what I was saying about Star Wars fans, it is amazing that Star Wars fans automatically accept you. It took a minute to accept Ahsoka because she wasn’t the most likable character in the beginning, but they automatically accepted me as Ashley Eckstein and I am so grateful for that. Like I instantly gained friends from around the world. I’ve seen fans 7 years in a row. I mean I’ve seen them as babies and now they are presenting me with designs and now want to work for Her Universe which is very surreal. PLEASE WATCH THIS VIDEO!!! What a wonderful response. Truly inspiring!! I am so thankful that I had the opportunity to meet Ashley and to hear these motivational words. Makes me want to get my hustle on! I’m going to share it in my Permission to Hustle group TODAY.